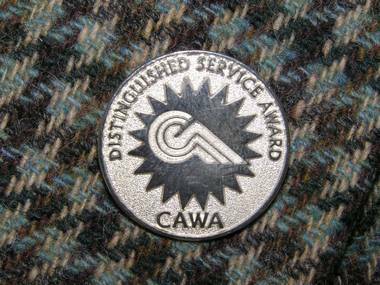 The above award is bestowed by the Canine Assoc of W.A. Hello and welcome to our website. We are based in Perth, Western Australia. Although we're not a small kennel we have a small kennel mentality in that we give all our dogs that extra care & attention that a small kennel has time to do. With most waking hours devoted to the dogs you might say I live in the kennels as much as my beloved dogs do. 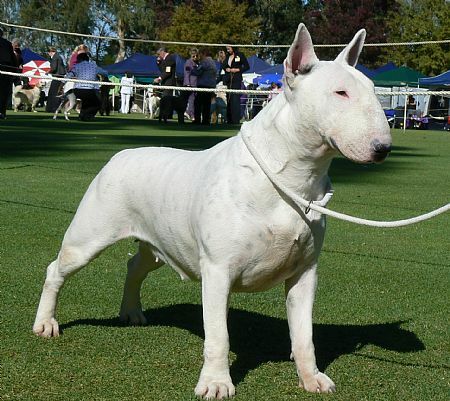 We are strong advocates of health testing our breeding stock. 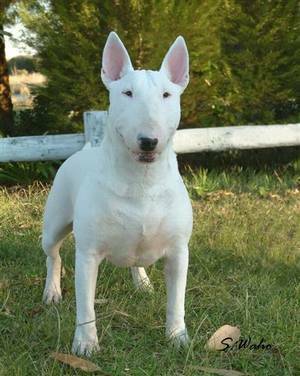 We were instrumental in negotiating affordable testing of Bull Terriers for kidney disease at Murdoch University (WA). 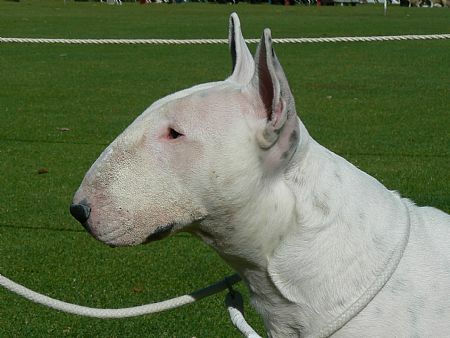 I have been called over reactive by some but I believe this is a good thing when the overall health of the breed is at risk, however, we are also practical in this regard. We strive for perfection in temperament, soundness, breed type & quality knowing we will never totally succeed but this great breed deserves nothing less than our best effort, I am an independant breeder in every way & have never followed fashionable or breed changing trends, my views are mine & mine alone I hold no fear or favour & I hold no alliance to any other breeder but in saying that I hold some in great esteem. I have never really been one to publicly promote my dogs or kennel but I have been told to get with the times and get a website going. This is my first ever attempt at something so grand but with a bit of help from friends and a lot of trial and error I think I am doing all right. 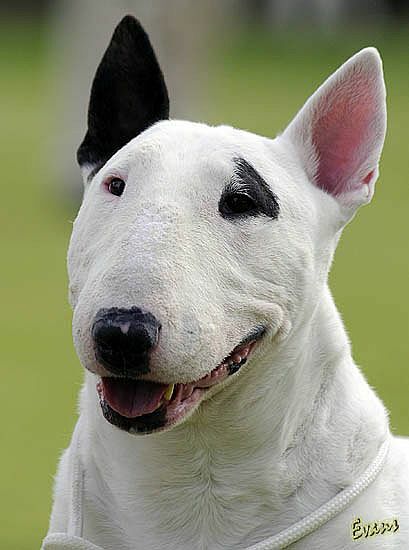 I am hoping to include a pictorial history of my time in the breed, which is over 33 years, and to show case my current and future Bull Terriers. I certainly hope you find it enjoyable and welcome you to come back often. Please feel free to make contact with me or to sign my guest book to let me know you have visited.